Why does Montel Williams wear non-matching earrings that are so big? These days, the left one is hoop-type and the right one is a stud. Neither is simple and understated. Instead, they’re very flashy and much larger than your basic earrings. They’re so distracting on camera… the diamonds “glow” every time the camera angle changes on the set. It’s just a little much, if you ask me. Why does Kelly Ripa always dress as if it’s summer during the winter months? I’m guessing it’s to show off her well-toned arms… and legs. Why does Regis Philbin continue to “put down” things on his own show? Why did Ellen DeGeneres have to cry on her show? and… Why did the local Nashville TV execs move Ellen’s primetime morning talk show from the main NBC channel to a random Comcast Cable channel (“Channel 50 plus”) in the evenings? First, I didn’t really care that she cried. But everyone in the media sure did! I can’t help but think that the whole media backlash changed Ellen’s openness and honesty on the show in some small way. Second, instead of weekday mornings at 11AM, we now get Ellen’s show nightly at 6PM on an often-overlooked channel (way on the other end of the dial… channel 50!) here in Nashville. I used to watch Ellen semi-regularly last year when it was on in the morning. This year, I’ve only remembered to watch twice… I think. Whether you like her show or not, it’s just a bummer that she was taken out of the primetime lineup in some markets. Why does Larry King repeatedly forget that he’s interviewing popular people (that his viewing public often know more about than he does)? He might want to consider doing some research before the guests arrive. Just a thought. Case in point: Larry King’s recent interview with Jerry Seinfeld. Why did Oprah Winfrey decide to become such a visible and vocal supporter for Obama? I mean, I know why. And there’s obviously nothing wrong with her decision to do so. But I just so happen to prefer to watch & listen to talk show hosts who are a little less biased, and tend to have fewer “underlying agendas”. You see, now I can’t help but look at Oprah as a political figure. Period. It’s hard to listen to her talk (about non-political issues) without trying to figure out her underlying reason for talking about “this”, or using “that product”, etc. I know… you could say the same thing for practically every public figure these days. 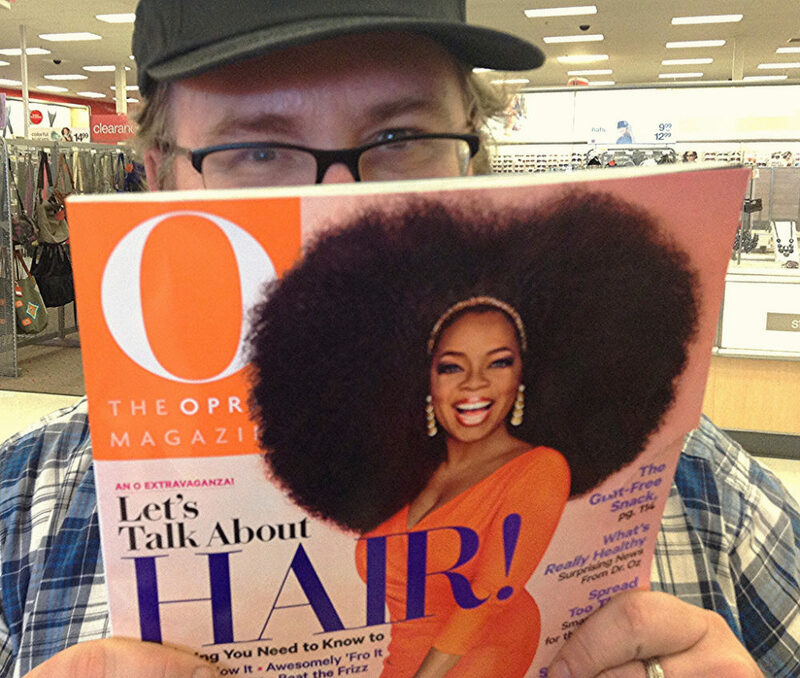 But still… I liked Oprah when she was more like you & me and less like a politician. What was it about being a bodyguard on a talk show that convinced Steve Wilkos that he could be a talk show host of his own? Who’s Steve Wilkos?… He is Jerry Springer’s former bodyguard and talk show protege. Yep, that infamous talk show bouncer who became famous for separating cat-fighting girls on Jerry’s show, and making sure no one lost their clothing during all of the on-air fights that took place on that show. In my opinion, the skills are not transferable. Bouncers should stay bouncers. Since when did Dr. Phil become the Jerry Springer of daytime talk shows? The show is taking a quick downward spiral, in my opinion. It used to be honest, low-key advice about weight loss and relationships. It has turned into a lot of all-out cry sessions with some really messed up people, polygraphs, loud family bickering sessions, behind-the-scenes investigations that seem more like stalking or entrapment episodes, and Dr. Phil’s “one-on-one interventions” with people currently in the news and their families. And I have to say, Dr. Phil (and his wife’s) sugar sweet, sappy family stories are starting to come across as a bit “holier than thou” and are taking center stage a bit too much these days. Why doesn’t Donny Deutsch take his show (“The Big Idea”) to the next level? I’m sure it’s largely beyond his control. But I think, in this day and age of young entrepreneurs, work-at-home parents, and outside-the-box ways to make money… his show is paving the way for millions of people to become successful doing whatever it is they’re passionate about. I’m not sure what “the next level” is that I referred to above. But “The Big Idea” is currently on weeknights at 10pm ET on CNBC, and I always forget to watch that late and so far up the dial. And I love the show! I can’t wait ’til all this entrepreneur stuff hits mainstream TV. And finally, where oh where has Leo Laporte gone? I miss him. I know, I know. In the whole scheme of things, none of this really matters. It’s just something I started thinking about this morning as I was channel surfing through the talk shows. Just felt like gabbing for a change… Back to work now.